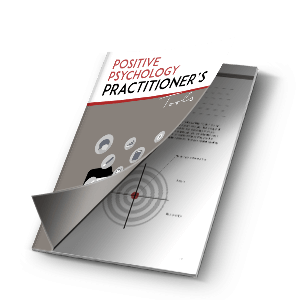 Home » Coaching & Application » What is Applied Positive Psychology? And this was never more true than in case of positive psychology and its many applications. Chris Peterson defined positive psychology as “the scientific study of what goes right in life” and what makes “life most worth living” (2006, p.4). For what could ever be more important than to focus on what is already good in people and on how to bring more of that to light and life? The value of science is in its application, and the very purpose of Applied Positive Psychology (APP), according to the leaders of the MSc program in Applied Positive Psychology at the University of East London, is “to make life better” (Lomas, Hefferon, & Ivtzan, 2014, p. vii). What does it mean to “make life better”? At its best, positive psychology is facilitative rather than prescriptive. It is not meant to tell us how to be but rather encourages us to determine our own goals and helps us achieve them. It applies to life in general and therefore concerns itself with the person AND society. Finally, it is the individual, even in the context of a group or an organization, that determines what “better” consists of and what success looks like when it has been achieved. In a short span of just a few decades Applied Positive Psychology has changed how we work, how we educate and parent our children; it has enhanced healthcare and rapidly growing coaching industry; it has improved public policy all over the world and raised the standards for self-help. It has also entered our vocabulary and our daily lives and changed our culture and perspective on wellbeing. Advances in positive psychology are, at their core, a natural response to the human population having evolved as a species toward higher levels of needs, as defined by Maslow more than half a century ago (1943). Today self-realization and fulfillment in all aspects of life are available to a wider population, and Seligman’s ambitious goal to have 50% of us thriving by the year 2051 does not seem all that far-fetched (2002). Aristotle classified human activities into poiēsis, theōria and praxis (2000 (350 BCE)). APP is a form of praxis or “practical action informed by theory” (Foster, 1986, p. 96). As an applied science positive psychology is at the core of skillful application of ideas. Positive psychology has tasked itself with the promotion of wellbeing in a way that differentiates it from generic self-help through an empirically-validated and theoretically-justified process. Although Ruark describes positive psychology as “an intellectual movement for the masses” (2009), The Oxford Handbook of Positive Psychology suggests that, if at all, positive psychology is a scientifically based and empirically tested form of self-help (2013). The authors of Applied Positive Psychology: Integrated Positive Practice would add that APP can also be defined as the use of wellbeing practices with a non-clinical population and include interactions that were like “therapy for people who don’t want therapy” (2014). They would also argue that APP is an integrated positive practice where the fundamental test of its application, at whatever level of scale, comes down to “whether people subjectively feel better about their lives as a result” (Lomas, Hefferon, & Ivtzan, 2014). According to Lomas, Hefferon, & Ivtzan, the future of positive psychology lies in recognizing it as an intrinsically applied discipline (2014). The central aim of this science and practice of improving wellbeing is to generate positive intervention, design tools, activities, and practices as well as generate recommendations to promote and enhance wellbeing in every context that lends itself to its applications. organizational sciences (Cameron, Dutton, & Quinn, 2003; Dutton, 2003; Luthans 2002a, 2002b), among others. Below are some of the examples of how the science of positive psychology is being applied to education, healthcare, organizational effectiveness, and work life. For a more in-depth treatment of applications and research in specific areas see our future articles on Applied Positive Psychology. Many believe that positive psychology can go a long way in revitalizing and reforming our schools and educational systems. Hans Henrik Knoop suggests that evidence-based principles of positive psychology can be effectively used to realize that vision if we were to embrace the understanding that “the single most important source for human happiness is for people to live in circumstances enabling them to be wholeheartedly engaged in both their immediate goals and a greater purpose” (Donaldson, 2011). Others like Shane Lopez and Valerie Calderon provide a concrete example of applied positive psychology and the Gallup Student Poll being applied in the American educational system (Donaldson, 2011). This landmark new measure of wellbeing in education will track factors relating to hope, engagement, and well-being of students across the United States for 10 years. By measuring and promoting what is right with students, this work is expected to double hope, help build more engaged school environments, and boost well-being, and ultimately turn every school into a great place to learn. Aesthetically rich and sense stimulating learning environments will contribute to the larger number of teachers and students experiencing learning as a journey of discovery in which the individual learner plays a central role (e.g., Kahneman, 2008; Knoop, 2002; Pinker, 2009; Wright, 2001). According to Seligman, Steen, Park, and Peterson, a major shift in mental health practice and research occurred with the birth of positive psychology, and today it unites the theory and knowledge on positive functioning and advances the much-needed work on positive mental health (2005). Psychological well-being is no longer understood as only the absence of mental illness, but also conceptualized as the simultaneous presence of positive psychological resources, such as positive affect and satisfaction with one’s life (Diener, 1984); self-acceptance, personal growth, and purpose (Ryff, 1989); and autonomy, competence, and relatedness (Ryan & Deci, 2001). active coping skills (Donaldson, 2011). We have 30 years of empirical research into the relationships between psychosocial resources and health to back up this claim and positive psychology interventions have a potential of playing a central role in creating positive social environments and improving health and well-being throughout society. Application of positive psychology in the context of health has also been well researched in case of treating depression. Nancy Sin, Matthew Della Porta, and Sonja Lyubomirsky demonstrate that positive psychology interventions have been successful not only in enhancing well-being but also in reducing depressive symptoms (Donaldson, 2011). We must keep in mind however that depression is characterized by motivational, affective and cognitive deficits that may prevent some from responding well to happiness-promoting activities and can potentially have a reverse effect. While Sin, Della Porta, and Lyubomirsky provide words of caution that not all happiness PPI intervention will be as equally effective with a dysphoric population as with healthy individuals, they conclude that even if not stand-alone PPIs can complement traditional treatment for depression quite well (Donaldson, 2011). Organizational effectiveness is often conceptualized through workplace engagement and the crucial questions that many practitioners of positive organizational psychology are trying to answer is how to develop the key resources necessary for the cultivation of greater engagement like using one’s strengths, managing one’s emotions, and finding one’s work meaningful. Take for example strength-based intervention, which through the use of leadership coaching have been widely embraced within businesses. International Coaching Federation (ICF), a regulatory organization for the coaching profession, has some 18,696 coaches who are members in 114 countries, many of who specialize in workplace and leadership coaching. Some view coaching as a subset of APP and expert like Biswas-Diener define it as the cultivation of a “professional relationship” between a coach and client ‘in the context of working toward speciﬁc goals” relating to work (2009, p. 544). Psychological Capital (Psych Cap) interventions, like the one developed by Luthans et al. (2010), have also been used to effectively enhance psychological resources of hope, optimism, self-efficacy, and resilience. His two-hour training program was designed to generate positive expectations for the future by designing personally-meaningful work-related goals. A sense of mastery was promoted by making concrete plans to help achieve these goals. Optimism was increased by solving for different pathways towards the goals and planning for overcoming of challenges and obstacles. And resilience was fostered by reflecting on one’s strengths and other personal resources that could be helpful in the pursuit of these goals. Work is love made visible… And what is it to work with love? It is to sow seeds with tenderness and reap the harvest with joy, even as if your beloved were to eat the fruit. Pursuit of meaning at work makes also for an important application of positive psychology in the work environment. The key to cultivating meaning in an organization as well as on the individual level is in achieving integrity of identity, values, and action where what we do is reflective of who we are and what we value. The approach of Rosso et al. defines meaning at work in terms of expression of values, orientation towards work and work-related identity (2010). symbolic values which define how much significance a person and their culture attribute to an occupation (Persson et al., 2001). Work orientation has been identified into three types of perspectives on the work itself: viewing one’s work activities and pursuits as a job or simply a means to an end like earning money; a career where works is a route to achievement; or a calling where one sees they work pursuit as an intrinsically fulfilling vocation (Bellah et al., 1996). While Persson et al.’s model for cultivation of different types of values lists them as all conducive to the pursuit of meaning at work, Bellah et al.’ s orientation schema represents a hierarchy where the experience of one’s job as a calling is the most meaningful (Donaldson, 2011). the structural perspective which is defined by a harmonious relationship between one’s work identity and other identities in life (2010). destiny or delivery stage where organization puts these plans into action (2000). One most the important strengths of the AI model is that it is non-prescriptive and positive organizational scholarship practitioners can be flexible in how they apply it in practice (Bushe, 2011). There are many more contexts for applying the science of positive psychology like clinical psychology and therapy, self-help and pop-psychology, social work, bibliotherapy, creative arts, optimal performance, sports, life coaching, stress management, and public policy, to name a few. Positive psychology interventions can be designed to address a specific setting like organizations or family or it can target a desired area of improvement like the experience of positive feelings or development of good character. What makes APP practical and accessible is its ability to offer interventions not only relevant to institution and important areas of human endeavor but also to every individual. Today application of positive psychology can target specific individual goals around wellbeing and allows us to address a variety of life situations in which people reach out for wellbeing interventions. Some of the core topics in research and development of positive psychology interventions include well-being and happiness, positive emotions, and character strengths and we discuss how this research is being applied to make life better regardless of context, be it work, education or healthcare. Ongoing research in positive psychology has identified a number of scientifically supported benefits of positive emotions. We know today that positive emotions broaden people’s awareness beyond the narrow confines of negativity and this increased openness can help set people on positive trajectories of growth toward emotional stability, a greater level of personal resources, and increased social integration and emotional stability (Donaldson, 2011). Positive emotions have also been found to fuel resilience in the face of adversity and can help support a foundation for a greater ability to resist downward spirals. Research in the science of emotions also reveals that people have far more control over what emotions they experience through their daily intake of positive emotions and keeping the negative ones in check. The tipping point positivity ratio of 3:1 when used as an emotional guideline that separates languishing from flourishing can create pathways to improve both the individual and the society (Donaldson, 2011). What does it mean to be a good person? Positive psychology has brought this important conversation back to life and has refocused scientific attention on character as a pillar of psychological wellbeing (Seligman & Csikszentmihalyi, 2000). Good character is what we look for in our teachers and students in classrooms, our leaders and our colleagues at work, what parents look for in their children, and what friends look for in each other. Good character, in essence, is a well-developed family of positive traits. Positive character traits, according to Park and Peterson (2003), enable close relationships and positive experiences, which in turn improve individual and societal well-being in families, communities, schools, and organizations. From the perspective of APP, the cultivation of good traits is exemplified through identifying and fostering strengths of character (Peterson, 2006; Peterson & Park, 2003). Growing evidence shows that character strengths not only indicate but also cause healthy development over a life span (Colby & Damon, 1992; Weissberg & Greenberg, 1997) as well as can prevent a number of undesirable life outcomes (Botvin, Baker, Dusenbury, Botvin, & Diaz, 1995). The research program known as the Values in Action (VIA) Project has tasked themselves with identifying and classification of strengths of character. Through various measures and assessment of individual differences in the strengths and the comparative studies of character strengths, it has created a comprehensive vocabulary of qualities possessed by a person worthy of moral praise. Many desired outcomes are associated with good character. Character strengths help people thrive and often lead to success in leadership and academic achievement, help promote tolerance and the valuing of diversity, foster development of an ability to delay gratification, and lead to expressions of kindness and altruism (Park, 2004). Applications of Positive Psychology can be organized by different areas of life they apply to as in leadership, health or education as well as broken down into specific research topics. They can also be conceptualized through a model that allows for application to all areas while using the best of what positive psychology has to offer. One such model was developed by Lomas, Hefferon, & Ivtzan of the MSC program in Applied Positive Psychology at the University of East London (2014). Their multidimensional conceptual model of wellbeing called Layered integrated Framework Example (LIFE) based on Ken Wilber’s Integral Framework (1995, 2000) is a theoretical framework created by juxtaposing two binaries of human experience subjective versus objective and individual versus collective. The current paradigm in contemporary consciousness studies is dominated by the neural correlates of consciousness approach (Fell, 2004) which sees states of mind as accompanied and analogous with neuro-physical states also known as mind-body dichotomy which acknowledges the binary reality of subjective mind and objective body/brain. collective-objective (society), material and structural aspects of social networks like socioeconomic processes. Lomas, Hefferon, & Ivtzan argue that this framework promotes wellbeing in an integrated way. While we could talk about applying positive psychology interventions to specific domains like education or health that often represents only part of the picture that relates to a specific context. Addressing wellbeing through a multidimensional model, on the other hand, takes into account the functioning of a whole person and can be applied to any area of life. Subjective domain, where research in positive psychology has been most rapidly growing, is the root domain because psychology predominantly concerns itself with subjective experience. Subjective domain is also an area where most constructs pertain to mental health. Positive psychology conceptualizes wellbeing in mental health as a presence of the triad of following elements: pleasant life and subjective wellbeing (SWB) (Seligman, 2002), engagement and flow (Csikszentmihalyi 1990) and meaning, also referred to as psychological wellbeing (Riff, 1989). This domain also includes other desirable psychological qualities like emotional intelligence (Salovey, & Meyer, 1989) and hope (Snyder, 2000) as well as negative construct like sadness (Wong, 2011) and depression (Lyubomirsky, 2009). From the perspective of Applied Positive Psychology, the subjective domain has the largest number of interventions. Cultivation of attention and awareness are key to most PPIs and can be trained through meditation as a form of self-regulation practice that brings mental process under greater voluntary control, as well as many mindfulness-based practices that cultivate phenomenal awareness of sensory experiences, body position, and internal sensations, and access awareness, phenomenal experience being used for reasoning and rationally guiding speech and action. form and physical posture through meditative movement like yoga. Other IPPs of mindfulness training open awareness to unfolding experience and non-judgmental paying of attention on purpose in the present moment. Examples include mindfulness-based stress reduction (MBSR) and its adaptations into mindfulness-based cognitive therapy (MBCT), as well as various other treatments like awareness training programs (ATP) (Nakamori, 2011) and Buddhist-derived interventions (BDI) (Shonin, 2013). The effectiveness of these interventions can be measured through the Mindful Attention and Awareness Scale (Brown & Ryan, 2003). Finally there are novel mindfulness-based treatments for smoking cessation (Bowen & Marlatt, 2009); the treatment of eating disorders (Dalen et al., 2010); multiple sclerosis (Mills & Allen, 2000); PTSD-related sleep disorder (Nakamura et al., 2011); people with learning difficulties and/or conduct disorders (Singh et al., 2003); and for chronic heart failure (Sullivan et al., 2009). Embodiment and embodied sensations consist of human experience of the body, the use, and management of it, and are increasingly recognized as a pathway to wellbeing (Hefferon, 2013). Body awareness can be developed through body awareness therapies (Gard, 2005) as well as yoga (Sawni & Breuner, 2012), Tai Chi (Yeh et al., 2004, p. 541), Pilates, body scan meditation and MBSR, which was developed for people with chronic pain (Kabat-Zinn, 1982). Yoga has been used as a clinical intervention to alleviate mental health problems like depression (Khalsa, 2007) and Tai Chi has been used with an older population to prevent falls (Voukelatos et al., 2007). Attending to our embodied experience is good for us outside of clinical scenarios as well and has been linked with physiological and psychological wellbeing (Mehling et al., 2009). Cultivation of positive emotions through the application of positive psychology interventions is not just about feeling good, but it is meant to develop greater emotional management skills. We want to cultivate meta-emotional skills so we can reflect on emotions, which in turn provides for effective coping strategies that can help us deal with either the stressor, one’s reaction to it, or even the tendency to avoid stressors altogether. EI synthesizes cognition and emotion. For example, Nelis et al. (2009) devised a four-week intervention program that focused on emotional understanding. It included explanations of the key concepts and role-play to illustrate the importance of EI in week one. Session two involved identifying emotions, especially in other people through decoding facial expressions and empathic communication. Session three dealt with expressing and using emotions to solve problems, and session four covered emotional management in form of theoretical group discussions around coping strategies and their effectiveness, meditative mind-body exercises and role-play activities. Another emotional self-awareness intervention was developed to reduce pain in people with fibromyalgia and combined mindfulness exercises with education, written emotional disclosure about stress and gradual re-engagement (Hsu et al., 2010). From an integrated perspective, consciousness techniques worked well when combined with emotional disclosure, cognitive tasks of writing and behavioral practices. There are also well-known methods like Loving-Kindness Meditation that have proved to be effective in clinical (Johnson et al., 2009) and non-clinical contexts (Fredrickson et al., 2008), and less well-known forgiveness cultivating methods like Japanese psychotherapeutic technique of Naikan (Yoshimoto, 1972). Last but not least, there is a large number of PPI that focus predominantly on cognition, and many of them like gratitude journal or three good things are about noticing or reminiscing about positive events. From an APP perspective, these are PPIs that help promote or reconfigure thought patterns to enhance wellbeing as in simply reflecting on one’s best possible future self (King, 2001) or better yet connecting these future selves to current school engagement (Oyserman et al., 2002). Other PPIs in this category involve deeper reflection on one’s life and self-identity. Collectively referred to as cognitive restructuring exercises, these interventions are beyond positive thinking and aim at generating a deeper reflective process toward an enhanced sense of meaning in life and even posttraumatic growth (Tedeschi & Calhoun, 2004). Notable interventions include intervention for bereavement to be conducted by a clinical psychologist (Ando et al., 2010), for cancer patients (Garland et al., 2007), life review therapy (Davis, 2004) and reminiscence activities designed for older people (Cook, 1998). From an APP perspective cognitively focused PPIs we can also promote goal achievement as Sheldon et al.’s (2002) goal training program where participants first listed personal goals and then rated their reasons for pursuing them differentiating between: extrinsic, introjected, internalized, integrated, and intrinsic as defined by self-determination theory of Deci & Ryan (2000). Although APP is a psychological domain, other domains also influence well-being and need to be explored to address the whole person. These include the quadrants of individual-objective (the body/ brain), collective-subjective (culture) and collective-objective (society). Individual objective domain can be termed as positive health and refers to the application of positive psychology interventions to physical health, exercise and risk behaviors, as well as their relationship to wellbeing through the mind/body connection and NCC neural correlates. We can conceptualize a mind-body relationship as either subjective mental states influenced by physiological outcomes (psychosomatic) or as physiological processes enabled by particular mental states (somatopsychic) (Hefferon, 2013). Some of the common PPIs here are exercise, nutrition, and artistic self-expression. From the APP perspective, we can encourage people toward regular exercise by offering countless benefits of physical activity that include enhanced self-perception and self-esteem (Fox et al., 2001), cognitive functioning (Hillman et al., 2008) and SWB (Reed & Ones, 2006). We also know a lot today about protective effects of exercise on physical and mental health and have shown that it can reduce the risk of and ameliorate the impact of diverse health conditions, including type-2 diabetes (Colberg et al., 2010), cardiovascular disease (Vuori, 1998), some cancers (Thune et al., 1997), depression (Hoffman et al., 2011) and anxiety (Herring et al., 2010). Nutrition has also been found to affect wellbeing. Blanchflower et al. (2013) observed an association between intake of fruit and vegetables and psychological wellbeing (PWB). Ford et al. (2013) found correlates between a Mediterranean diet and positive affect, and today we have treatments for eating disorders like “mindful eating and living” (Dalen et al., 2010) and school-based obesity prevention programs (Williamson et al., 2007). Many forms of self-expression have been implicated in wellbeing: art and beauty can induce positive mental states, namely aesthetics (Kivy, 2009), dance as exercise and a form of self-expression can bring on positive emotions (Hefferon & Ollis, 2006) and complex emotional state of awe has also been shown to have a profound effect on wellbeing (Keltner, & Haidt, 2003). In addition to positive health (Seligman 2008), objective wellbeing interventions also include research of biological basis of pleasure (Ryff et al., 2006), positive affect and prefrontal cortex activation (Davidson, 2000), neurofeedback (Hammond, 2005) and dance therapy. Neurofeedback, as a non-invasive intervention that can improve wellbeing and brain functioning, is beginning to be used as a form of behavioral therapy (Moss, 2009, p. 656). Johnston et al. (2010) piloted an fMRI neurofeedback therapy for developing emotional regulation and Gruzelier et al. (2013) used neurofeedback with children to enhance attention, music creativity and wellbeing. But we don’t live in a vacuum and according to World Values Survey (Helliwell & Putnam, 2004), the most important values are rooted in culture and society: relationships, income, work, social capital, and health. Collective-subjective domain and its interventions are about relationships and shared culture with its values and meanings, otherwise understood as social capital. Here positive psychology is applied to areas of positive relationship science (Fincham, & Beach, 2010), family-centered positive psychology (Sheraisan at al., 2004), positive organizational scholarship (Cameron at al., 2003), and positive education (Seligman, 2009). Collective-subjective domain also encompasses positive psychology activities in couples therapy (Kaufman, & Silberman, 2009) and positive parenting, not to mention interventions in settings like schools, combinations of home and school programs and finally clinical an community interventions. See above discussion of applied positive psychology in health, educations and the workplace. Collective-objective domain are material and structural aspects of social networks like socioeconomic processes. Seeking to make life better is not just about the mind or even individual but all aspects of life. So we must consider political, cultural and socioeconomic factors and even structural factors like education or economic opportunities and how they affect wellbeing. This domain is about institutions and environments as well as impersonal processes that make wellbeing possible; e.g. employment. According to Well-Being for Public Policy by Diener, Lucas, Schimmack, and Helliwell (2009) we currently have several well-being findings that are relevant to policy in areas of the environment, health and longevity, the social context, and work and income. Collective-objective domain like social services can benefit from community interventions like well London Project and global institutions can be made well by policy level interventions like UN’s analysis of subjective wellbeing measures across the globe and using it for macro-policy recommendations. At this level measures like subjective wellbeing (SWB) are considered as a barometer for social progress instead of GDP. There is also the United Nations’ Human Development Index (HDI), and the World Bank’s quality of governance index. Finally, extending wellbeing to our environment and societal sustainability are exemplified by interventions like the Happy Planet Index. As GDP in modern industrialized societies has tripled over the last 50 years and can now satisfy the basic needs of their citizens, our needs have evolved into seeking a fulfilling life. But our levels of happiness have not increased accordingly. This discrepancy explains why wealth has not eliminated societal problems. And so positive psychology posits that we should take wellbeing into account when measuring life satisfaction and progress of humanity and shape our policies to reflect the same (Donaldson, 2011). Measures of wellbeing are important not only because they are democratic but also because they represent how values of modern society have changed from surviving to thriving. People want engagement, fulfillment, and happiness. Finally, people with high levels of wellbeing are essential to the effective functioning of society as people who experience a lot of negative feelings make for unstable societies prone to political conflict. Research in positive psychology had amassed evidence that happy people have better social relationships, are more likely to thrive and work and have better health and longevity. While it could be argued that progress in these areas causes wellbeing and promotes better relationships, healthier families and more friends, and that happy people are also more successful at work, and engage in healthier behaviors, there is more evidence that applying positive interventions to those areas of life actually causes wellbeing (Donaldson, 2011). We know today that happy people experience higher levels of self-confidence, leadership ability, warmth and sociability and can confidently say that subjective wellbeing has benefits on the individual level. There is also mounting evidence that promoting wellbeing through the application of positive psychology is good for societies in areas of health and longevity, social capital, pro-peace attitudes and income allowing us to conclude that wellbeing is important to psychological and social health (Donaldson, 2011). While the LIFE model is great for discussing Applied Positive Psychology in general and the major areas of research highlight the approaches to specific scenarios, our intention for future articles will be to divide the discussion of Applied Positive Psychology into functional areas of application like work, health, and education, in order to provide our practitioners with more clearly defined set of applications relevant to their areas of expertise. For deep dives of specific approaches like cultivation of positive emotions or developing character strengths please refer to the specific categories in our blog where you can find the theories, research, interventions and specific applications of these core areas of research. Mihaly Csikszentmihalyi, one of the first who articulated what positive psychology is, has now given it a new mission: to integrate systematically and scientifically what has been found across time and space to be best about people and what constitutes a good life. He argues that there are boundless opportunities this new image of humanity presents to applied positive psychologists and declares this new perspective in psychology a promise of a rewarding life for those who choose to pursue it (Donaldson, 2011). As positive psychology moves into its second, and some would say third wave, it is evolving beyond the concerns with individual development and toward thriving societies. As its goals grow ever more ambitious and are drawing enthusiasts by the thousands, more people can find their place in its realm and the number of innovative applications has taken the world by storm. Although there are critics of APP who like Ehrenreich argues that there is a growing perception that failure to be positive has become a moral failure (2009), Lomas suggests that there is no need to polarize psychology into good and bad just to appreciate the complexities of a good life (2014). APP’s dynamic growth and rapid evolution is precisely in step with exponential change we’re experiencing and offers hope and haven from the escalating demands, a better home for our ever more complex psyche. Perhaps a second renaissance of human potential where we match our internal power to our technological advancements in stride to make our lives better by giving us more capacity for utilizing our greatest strengths. The major paradigm on which many theories of positive psychology rest is that we are a species that has evolved beyond mere survival and has moved into a stage where we all can focus our energies toward thriving as individuals and as members of society. Flourishing is no longer reserved for the privileged few who have material resources, or the intellectual elite or academic or spiritual gurus who may have all the answers. Most are not satisfied with just surviving. We’ve graduated with honors. As we harness the powers within and without, our reality can reflect our new found understanding through better ways of being in the world. Allen, M., Witt, P. L., & Wheeless, L. R. (2006). The role of teacher immediacy as a motivational factor in student learning: Using meta-analysis to test a causal model. Communication Education, 55, 21–31. Anderson, R., Manoogian, S. T., & Reznick, J. S. (1976). The undermining and enhancing of intrinsic motivation in preschool children. Journal of Personality and Social Psychology, 34, 915–922. Avolio, B. J., Gardner, W. L., Walumbwa, F. O., Luthans, F., & May, D. R. (2004). Unlocking the mask: A look at the process by which authentic leaders impact follower attitudes and behaviors. Leadership Quarterly, 15, 801–823. Baumeister, R. (2005). The cultural animal. New York: Oxford University Press. Bloom, F. E., & Nelson, C. A. (2001). Brain, mind, and behavior. London: Worth. Bransford, J. D., Brown, A. L., & Cocking, R. R. (1999). How people learn—brain, mind, experience, and school. Washington, DC: National Academy of Sciences. Brown, D. E. (1991). Human universals. Boston: McGraw-Hill. Camazine, S., Deneubourg, J., Franks, N. R., Sneyd, J., Theraulaz, G., & Bonabeau, E. (2001). Selforganization in biological systems. Princeton, NJ: Princeton University Press. Cameron, K. S., Dutton, J. E., & Quinn, R. E. (2003). Foundations of positive organizational scholarship. In K. S. Cameron, J. E. Dutton, & R. E. Quinn (Eds. 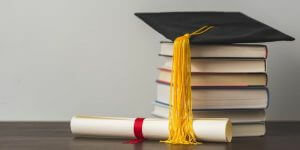 ), Positive organizational scholarship: Foundations of a new discipline (pp. 3–13). San Francisco: Berrett-Koehler. Clonan, S. M., Chafouleas, S. M., McDougal, J. L., & Riley-Tillman, T. C. (2004). Positive psychology goes to school: Are we there yet? Psychology in the Schools, 41, 101–110. Csikszentmihalyi, M. (1993): The evolving self. New York: Harper Collins. Csikszentmihalyi, M. (2009). Learning in 2005. 125th Anniversary of Folkeskolen, Copenhagen. Csikszentmihalyi, M., Abuhamdeh, S., & Nakamura, J. (2005). Flow. In A. J. Elliot & C. S. Dweck (Eds. ), Handbook of competence and motivation (pp. 598–608). New York: Guilford Press. Csikszentmihalyi, M., & Knoop, H. H. (2008). Kompleksitet: Universelt ideal og global trussel. In J. Lyhne & H. H. Knoop (Eds. ), Positiv psykologi: Positiv Pædagogik (pp. 243–263). Copenhagen: Dansk Psykologisk Forlag. Csikszentmihalyi, M., & Rathunde, K. (1993). The measurement of flow in everyday life: Towards a theory of emergent motivation. In J. E. Jacobs (Ed. ), Nebraska symposium on motivation, Vol. 40: Developmental perspectives on motivation (p. 60). Lincoln: University of Nebraska Press. Damasio, A. R. (2000) The feeling of what happens: Body and emotion in the making of consciousness. New York: Harvest Books. Damon, W. (2003). The moral advantage: How to succeed in business by doing the right thing. San Francisco: Berrett-Koehler. Deci, E. L., & Ryan, R. M. (1991). A motivational approach to self: Integration in personality. In R. Dienstbier (Ed. ), Perspectives on motivation (pp. 237–288). Lincoln, NE: University of Nebraska Press. Dingfelder, S. (2003). Creativity killers. APA Monitor, 34, 57. Donaldson, S. I., & Ko, I. (2010). Positive organizational psychology, behavior, and scholarship: A review of the emerging literature and evidence base. Journal of Positive Psychology, 5, 177–191. Donaldson, S. I., Csikszentmihalyi, M., & Nakamura, J. (2011). Applied Positive Psychology: Improving Everyday Life, Health, Schools, Work, and Society. New York, NY: Rutledge. Dunn, R., & Dunn, K. (2005). Thirty-five years of research on perceptual strengths. The Clearing House, 78, 273–276. Dunn, R., & Dunn, K. (2008). Teaching to at-risk students’ learning styles: Solutions based on international research. Insights on Learning Disabilities: From Prevailing Theories to Validated Practices, 5, 89–101. Elliot, A. J., & Dweck, C. S. (2005). Handbook of competence and motivation. New York: Guilford Press. Fredrickson, B. L., & Losada, M. (2005). Positive affect and the complex dynamics of human flourishing. American Psychologist, 60, 678–686. Gallup (2002, November 7). Survey on trust. Report on trust for the World Economic Forum, New York. Gardner, H. (2000). Intelligence reframed. New York: Basic Books. Ghoshal, S. (2005). Bad management theories are destroying good management practices. Academy of Management Learning and Education, 4, 75–91. GlobeScan (2005, December 15). GlobeScan report on issues and reputation. Report on trust for the World Economic Forum, Davos, Switzerland. Gopnik, A., Meltzoff, A. N., & Kuhl, P. (2001). The scientist in the crib. New York: Harper Collins. Grigorenko, E. L., Jarvin, L., & Sternberg, R. J. (2002). School-based tests of the triarchic theory of intelligence: Three settings, three samples, three syllabi. Contemporary Educational Psychology 27, 167–208. Harter, S. (1978). Effectance motivation reconsidered: Toward a developmental model. Human Development, 1, 661–669. Hauser, M. (2006). Moral minds: How nature designed our universal sense of right and wrong. New York: Ecco. Houston, S. (2006). Making use of positive psychology in residential child care. In D. Iwaniec (Ed. ), The child’s journey through care: Placement stability, care planning, and achieving permanency (pp. 183–200). Hoboken, NJ: John Wiley & Sons. Institute of Medicine (U.S.), Committee on Health and Behavior: Research, Practice and Policy (2001). Health and behavior: The interplay of biological, behavioral, and societal influences. New York: National Academy Press. Joy, B. (2000). Why the future doesn’t need us. Wired Magazine, 4, 1–11. Kahneman, D. (2008). Graenser for rationel tænkning i forbindelse med vurderinger og valg. In J. Lyhne & H. H. Knoop (Eds. ), Positiv psykologi: Positiv pædagogik (pp. 139–188). Kashdan, T. (2009). Curiosity: Discover the missing ingredient to a fulfilling life. New York: William Morrow. Kauffman, S. A. (2000). Investigations. New York: Oxford University Press. Knoop, H. H. (2002). Play, learning and creativity: Why happy children are better learners. Copenhagen: Aschehoug. Knoop, H. H. (2005): Kompleksitet: Voksende orden ingen helt forstår. Kognition & Pædagogik, 57, 6–24. Knoop, H. H. (2007a). Control and responsibility: A Danish perspective on leadership. In H. Gardner (Ed. ), Responsibility at work (pp. 221–245). San Francisco: Jossey-Bass. Knoop, H. H. (2007b). Wise creativity and creative wisdom. In A. Craft, H. Gardner, & G. Claxton (Eds. ), Creativity and wisdom in education (pp. 119–132). London: Sage Publications. Knoop, H. H. (2008). Folkeskolen år 2025. Copenhagen: Folkeskolen. Knoop, H. H., & Lyhne, J. (2005). Et nyt læringslandskab: Flow, intelligens og det gode laeringsmiljø. Copenhagen: Dansk Psykologisk Forlag. Kurzweil, R. (2006). The singularity is near: When humans transcend biology. London: Viking Penguin. Linley, A. (2008). Average to A+: Realising strengths in yourself and others. Warwick, UK: CAPP Press. Linley, A., & Joseph, S. (2004). Positive psychology in practice. Hoboken, NJ: John Wiley & Sons. Lomas, T., Hefferon, K., & Ivtzan, I. (2014). Applied Positive Psychology: Integrated Positive Practice. London, UK: SAGE Publications Ltd.
Lyhne, J., & Knoop, H. H. (2008). Positiv psykologi: Positiv Pædagogik. Copenhagen: Dansk Psykologisk Forlag. Massimini, F., & Delle Fave, A. (1991). Religion and cultural evolution. Zygon, 16, 27–48. Myers, D. G. (1993). The pursuit of happiness. New York: Avon. Peterson C., & Seligman, M. E. P. (2004): Character strengths and virtues: A handbook and classification. New York: Oxford University Press. Pinker, S. (2002). The blank slate: The modern denial of human nature. London: BCA. Pinker, S. (2009). How the mind works. New York: W. W. Norton. Post, S. G. (2005). Altruism, happiness, and health: It’s good to be good. International Journal of Behavioral Medicine, 12, 66–77. Radey, M., & Figley, C. (2007). Compassion in the context of positive social work: The role of human flourishing. Clinical Social Work Journal, 36, 207–214. Rathunde, K. (1992). Serious play: Interest and adolescent talent development. In A. Krapp & M. Prenzel (Eds. ), Interesse, lerner, leistung (pp. 137–164). Munster: Aschendorff. Rathunde, K. (1996). Family context and talented adolescents’ optimal experience in school-related activities. Journal of Research in Adolescence, 6, 603–626. Rees, M. (2003). Our final hour: How terror, error, and environmental disaster threaten humankind’s future in this century—on earth and beyond. New York: Basic Books. Robinson, K. (2001). Out of our mind: Learning to be creative. London: Capstone. Robinson, K. (2009). The element: How finding your passion changes everything. London: Viking Adult. Runco, M. A. (2004). Creativity. Annual Review of Psychology, 55, 657–687. Ryan, R. M. (1995). Psychological needs and the facilitation of integrative processes. Journal of Personality, 63, 397–427. Schmuck, P., & Sheldon, K. M. (2001). Life-goals and well-being. Gottingen: Hogrefe & Huber. Senge, P. M. (1990). The fifth discipline: The art and practice of the learning organization. London: Century Business. Senge, P., Kleiner, A., Roberts, C., Ross, R., & Smith, B. (1994). The fifth discipline: Field book. Strategies and tools for building a learning organization. London: Nicholas Brealey. Sheldon, K. M., Ryan, R. M., Rawsthorne, L. J., & Ilardi, B. (1997). Trait self and true self: Cross-role variation in the Big-Five personality traits and its relations with psychological authenticity and subjective well-being. Journal of Personality and Social Psychology, 73, 1380–1393. Shernoff, D. J., & Hoogstra, L. (2001). Continuing motivation beyond the high school classroom. New Directions in Child and Adolescent Development, 93, 73–87. Wilson, D. S. (2002). Darwin’s cathedral: Religion and the nature of society. Chicago: University of Chicago Press. Wong, P. T. P., & Fry, P. S. (1998). The human quest for meaning: A handbook of psychological research and clinical applications. Mahwah, NJ: Lawrence Erlbaum Associates, Inc.
Wright, R. (2001). Non-zero: The logic of human destiny. New York: Vintage Books. This is Nanda Kishore reddy.I am a practising psychotherapist and now working as a Wellness Coach in a reputed company.The aritcles on positive psychology is very interesting.Please post more number of articles and i would love to read more. This is very informing beautiful article. I love it. Amazingly today in class(MA in counseling psychology) we shared a lot about emotional intelligence. I have added a lot of knowledge from your article. I really thank you for sharing with me such insights. Am longing to receive your next article on emotional intelligence and learn more. Be blessed.